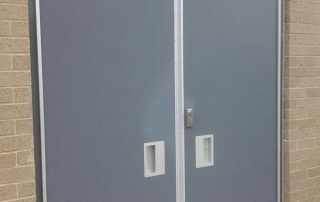 Serviceable pull-handle design allows for easy repair and maintenance. 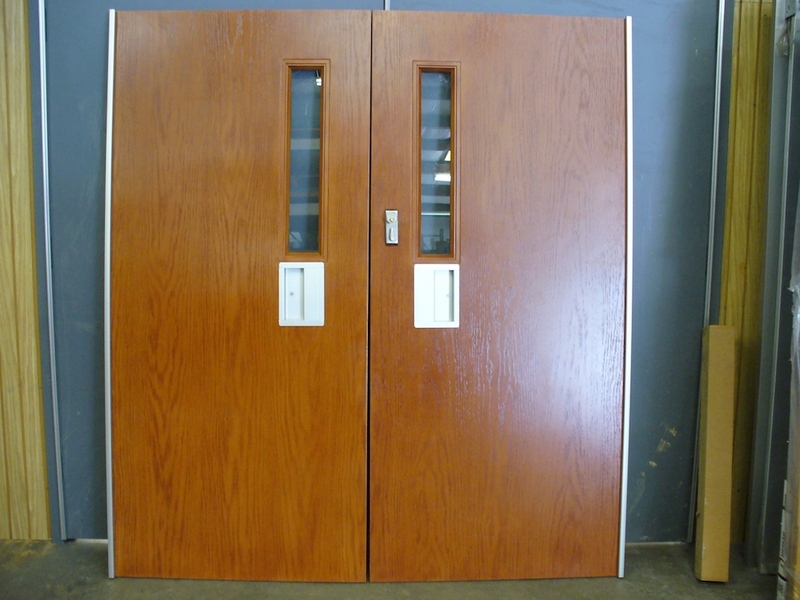 Available in Hollow Metal and Aluminum Doors. 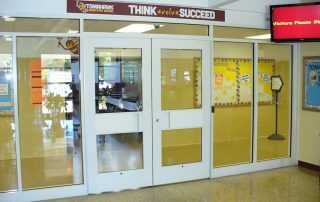 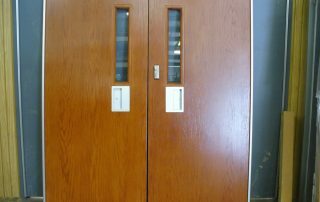 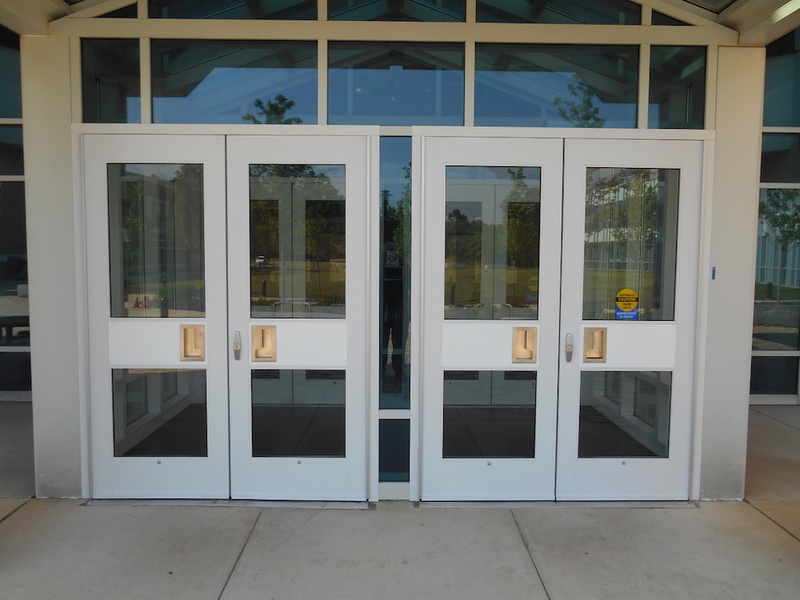 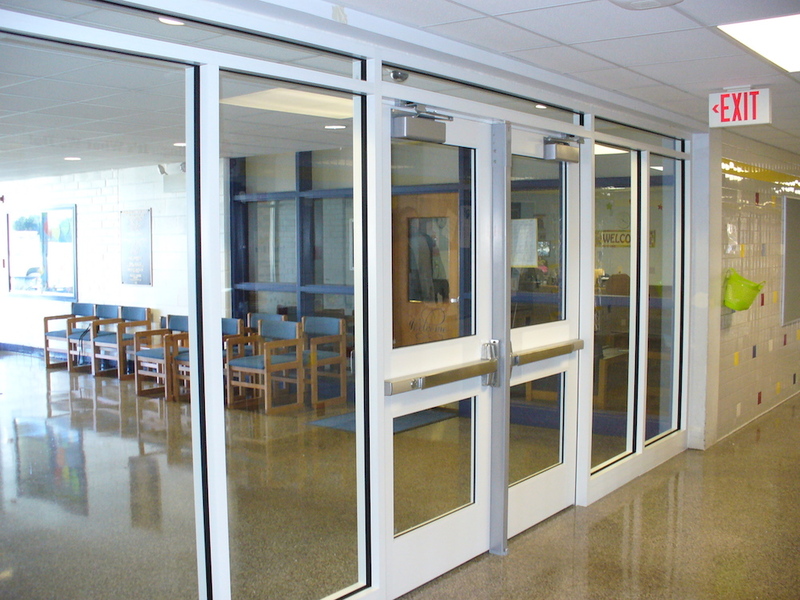 Optional security glazing for doors and side-lights. 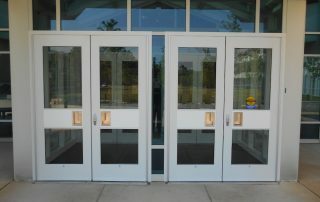 Rim Exit or Concealed Vertical Rod chain-resistant exit devices available. 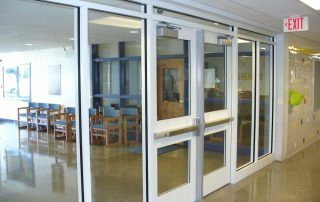 Electrified Hardware for access control integration. 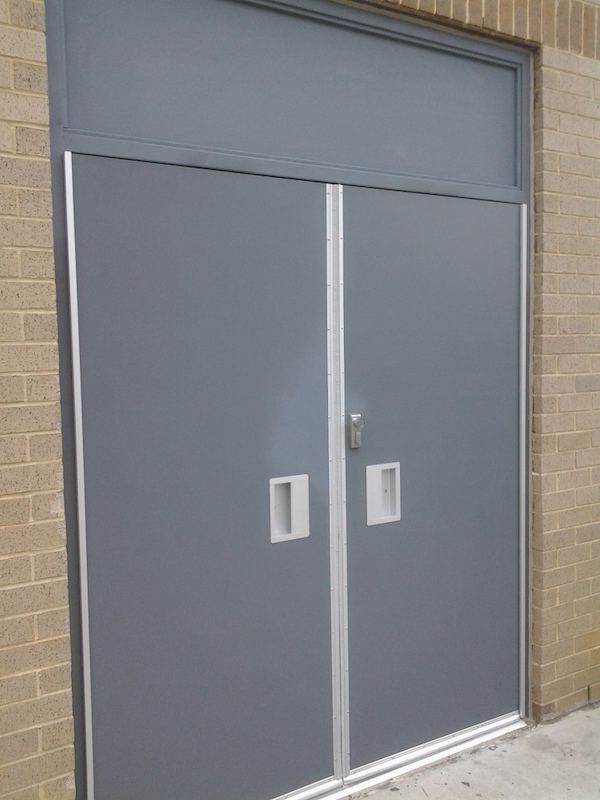 Full mortise continuous hinge featuring concealed wire transfer. 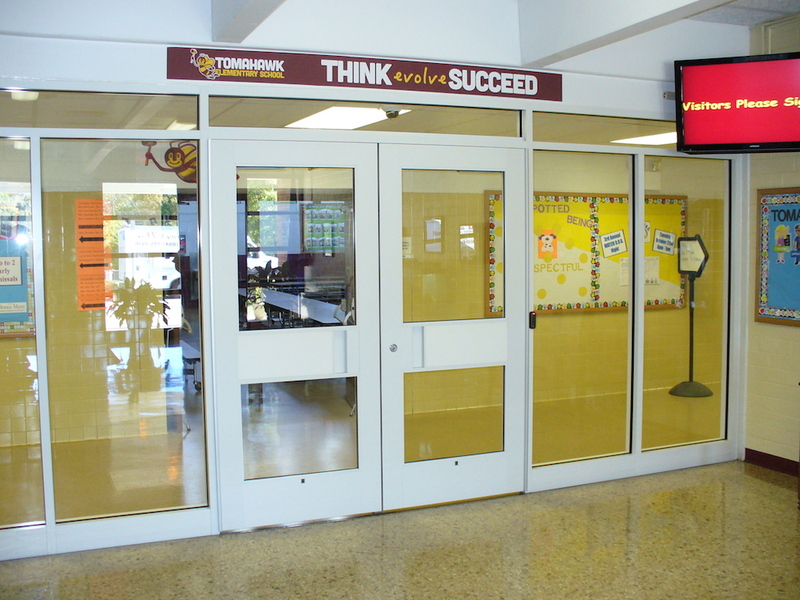 Restricted High-Security Key System Compatible.